→Curious Cat App Review – Is it Legit? Does it Pay? Curious Cat App Review – Is it Legit? Does it Pay? I found Curious Cat while browsing for money-making apps on the Google Play Store and decided to give it a shot. In this review, I am going expose all you need to know about the Curious Cat app and give you my honest opinion about it. Is it legit and does it pay? By the way, if you to learn how I work from home and bring in $1,000+/mo from my laptop, check out my #1 recommendation! Newbie friendly and free to get started! Curious Cat is an application that rewards users for completing paid surveys on the go. All you have to do is share your thoughts and opinions, which will contribute to marketing research. The app is operated by an UK-based company called Device Research Limited and is available in many countries. There are many surveys available depending on your country. The minimum payout is only 100 points (£1). 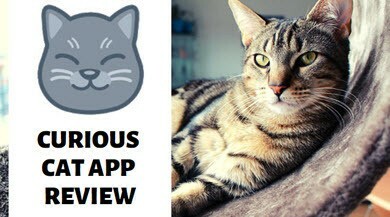 Curious Cat is available for both Android and iOS devices. 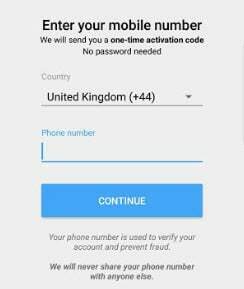 After the installation, you will be prompted to sign in with your phone number, which is required for verification. The phone number is necessary to prevent fraud, but don’t worry as they promise never to share it with anyone else. In the UK, you can redeem 100 points for £1 via PayPal. Currently, there is no other payment option available. The first step is to complete the profiling survey so that Curious Cat can select more relevant studies for you. You can complete another 2 profiling surveys to get additional surveys. Each profiling survey is worth 5 points. 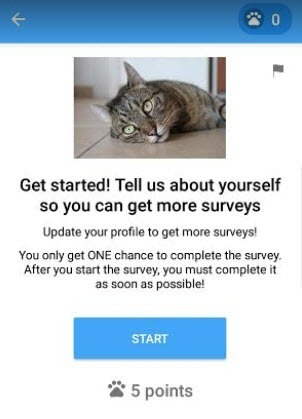 If you allow Curious Cat app to access your location data, you can also get more survey opportunities. After completing your profile, the app will automatically unlock all the surveys that match your demographics. I immediately received 13 opportunities worth anywhere from 13 to 169 points. From what I can see, the average number of points per survey in the UK is approximately 50 points (£0,50). When you click on a survey tab, they will show you how long it takes. I advise you to pay attention to the pay rate (points vs time) to decide if it’s worth your time. For example, I saw a 23-minute survey worth only 33 points, which is too bad in my opinion! Note that some surveys expire quickly, so you should accept them as soon as possible to guarantee your spot. Sometimes you may also find tasks or offers that give you more points or a gift card straight away. When I was browsing Curious Cat yesterday, I found one task worth £10 Amazon Voucher. I had to download an app and let it run on my mobile, collecting my internet usage for marketing research. It Can Be Difficult to Qualify! The problem with not only Curious Cat but most survey panels is that you can get screened out of a survey and don’t get paid. Depending on your profile, disqualifications happen too frequently! That is because marketing research is usually targeting respondents with a specific profile. Curious Cat has partnered with Samplicio.us, a survey panel that is quite difficult to qualify. If you search for samplicio.us reviews on Google, you will find many complaints from people who waste a lot of time due to frequent disqualifications. When you reach 100 points, you should go to the Cash Out screen and request your payment. Simply add your PayPal email address and tap “confirm”. 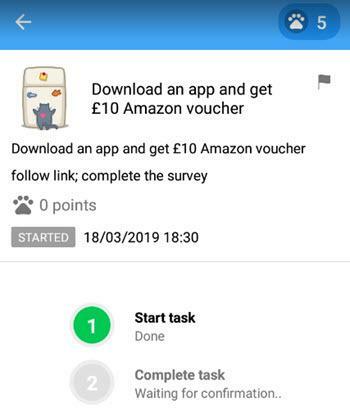 Curious Cat is a legitimate app that pays, and I noticed there are many survey opportunities in the UK. In my opinion, the only issue is that you can waste a lot of time due to frequent disqualifications, which are common in many survey panels. 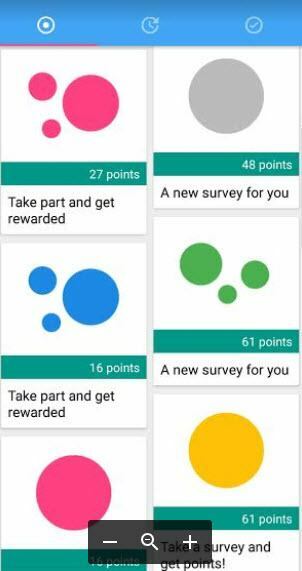 Other similar surveys apps you can try are MOBROG, Poll Pay, Zap Surveys and Surveys on the Go. If you ask me what the best place to take online surveys is, I would say Prizerebel. By signing up with Prizerebel, you will have access to not only different survey panels but also offers and other easy tasks to make money. I used to take surveys back in 2015, but in the same year, I discovered the possibility of earning $100s and even $1000s per month with affiliate marketing. I joined this excellent training platform, which showed me how to build a website, attract an audience and earn affiliate commissions. It takes time and commitment to start making money with your own website, but in my opinion, it’s well worth it. For me, it’s all about freedom! I may not be financially free, but the possibility of working whenever and wherever I want gives me the freedom of travelling multiple times per year! 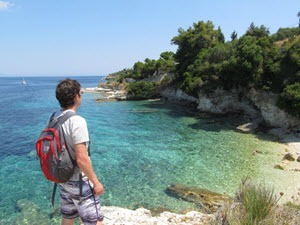 I love travelling, and this year I am planning to quit my job and buy a one-way ticket to South East Asia. This wouldn’t be possible without an online income. 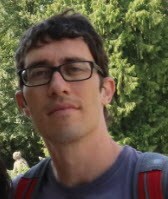 My website is all about reviewing money-making platforms and info products. However, you build a site around a topic of your interest and earn affiliate commissions by promoting products that you trust. If you are interested in learning about the strategy and training platform that I use, check #1 recommendation below.